OCTOBER 29--A billionaire hedge fund manager paid $43 million for a Monet “Water Lilies” painting that New York prosecutors allege was stolen and illegally sold by a former secretary to Imelda Marcos, the rapacious former First Lady of the Philippines, The Smoking Gun has learned. The 1899 artwork by French Impressionist Claude Monet is at the center of the ongoing criminal trial of Vilma Bautista, who has been accused of felony conspiracy and tax fraud related to the September 2010 sale of the painting. However, the painting--entitled “Le Bassin aux Nympheas”--will not make an appearance in the courtroom where the frail Bautista, 75, is being tried by prosecutors with the Manhattan district attorney’s office. 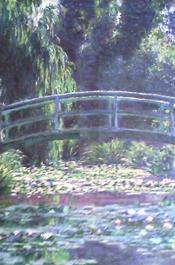 The artwork, also known as “Japanese Footbridge Over the Water-Lily Pond at Giverny,” remains in the possession of Alan Howard, a British financier who relocated from London to Switzerland several years ago. Howard, whose personal fortune is estimated at $2 billion, is perennially ranked as one of Britain’s richest individuals and its top-earning hedge fund manager. Forbes magazine estimated that Howard, 50, banked $200 million last year operating Brevan Howard Asset Management. According to court testimony and documents, Howard bought the Monet through Hazlitt, Gooden & Fox, a London art dealer. A Howard spokesperson described him as a “good faith purchaser” who relied on a series of representations from Hazlitt, Gooden & Fox that title to the painting was clear. The spokesperson added that Howard knew, prior to the sale, that the Monet had been previously owned by Imelda Marcos, and was being marketed by Bautista, Marcos’s ex-aide. Howard’s representative also pointed to a letter from the Philippine Presidential Commission on Good Government that reported the Monet was not on a list of missing artwork believed to have been purchased by the Marcos family with government funds. Established in 1986 after President Ferdinand Marcos was deposed, the PCGG is charged with recovering the Marcoses embezzled fortune. It is unclear how the Monet--likely the most valuable artwork in the Marcos collection--was overlooked by Philippine asset hunters. Howard, his spokesperson told TSG, was unaware that Bautista had, a few months earlier, tried to sell the Monet to a Manhattan art dealer. That $35 million deal collapsed when Acquavella Galleries, the prospective purchaser, backed away over concerns about Bautista’s authority to sell the painting. The spokesperson added that while Howard did not personally examine the Monet prior to purchasing it, his art advisor was shown the painting inside a Manhattan apartment (apparently that of Bautista). Howard, who maintains an extremely low profile, has gone to great lengths to try and wall himself off from the Bautista prosecution and related civil cases pending in state and federal court. The civil actions are being pursued by a class action group of nearly 10,000 individuals who were victims of human rights abuses by the Marcos government. The group, which has won nine-figure judgments against Ferdinand Marcos’s estate, has sued Bautista and several of her associates in a bid to claw back what they received for the Monet. To avoid being named as a defendant in any litigation related to the painting’s sale, Howard reached for his checkbook. The billionaire recently paid the class action group $10 million in exchange for a legal release on any claims regarding the painting. Additionally, a confidential settlement struck by Howard also bars the group and its counsel from disclosing his name or commencing any legal action against Hazlitt, Gooden & Fox, the art gallery which brokered the Monet sale. Howard himself "intends to seek legal redress" from the London firm, according to his spokesperson. According to purchase and escrow agreements, Howard (seen at left) fronted $43 million to Hazlitt, Gooden & Fox for the “Water Lilies” deal. The transaction, which involved firms registered in Panama and the British Virgin Islands, resulted in $28.1 million being wired into an account in Bautista’s name. The remainder of the sales price went to an assortment of individuals and firms involved in the deal, including the London art gallery, which pocketed a $7.5 million commission. While prosecutors have not taken a position as to whether the Monet is the rightful property of Imelda Marcos or the Philippine government, they do allege that Bautista illegally gained possession of the painting and several other valuable artworks (each of which disappeared around the time the Marcoses were deposed from power in early-1986). The profligate Imelda Marcos’s frequent spending sprees--for blue-chip art, vacation homes, jewelry from Bulgari and Van Cleef & Arpels, and Manhattan skyscrapers--were financed through the plundering of the Philippine treasury. 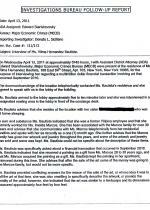 Property records show that Marcos used Bautista as a straw buyer on a variety of Manhattan condominiums, including three adjoining apartments in Olympic Tower across from St. Patrick’s Cathedral. Bautista also served as a de facto personal shopper for Marcos, with her name turning up on a $1.42 million invoice for emeralds, rubies, and diamonds from Bulgari. Additionally, checks drawn on a Bautista bank account were used to pay the general contractor overseeing renovations on a 10-acre waterfront Long Island estate owned by Marcos. Prosecutors allege that when the Marcos regime--headed by Imelda’s husband Ferdinand--was toppled by the People Power revolution, many valuable artworks were swiped by fleeing Marcos cronies from government buildings in the Philippines and New York City, including an Upper East Side mansion that Imelda used when in Manhattan. When a TSG reporter--then working for The Village Voice--visited the East 66th Street property in the hours after the Marcoses were vanquished, the walls had clearly been relieved of many paintings. Left behind were gold nameplates carrying the missing work’s title and creator, as well as a discoloration on the wall in the shape of the hastily removed piece. Additionally, a dozen large boxes were stacked just inside the mansion’s front door. Filled with china, silverware, and other household items, the heavy containers were intended for FedEx, but never left the foyer. According to investigators, Bautista squirreled away the Monet for more than 20 years before seeking to fence the painting (seen at right) with the help of her two nephews, both of whom were also named in last November’s indictment. Bautista’s relatives, however, had already fled the United States by the time charges were announced. With her fugitive kin in the wind, Bautista is alone in the dock in Judge Renee White’s courtroom. In April 2011, a prosecutor and an investigator showed up one morning at Bautista’s Manhattan apartment to speak with her about a “multimillion dollar financial transaction involving art,” according to an interview report. It is unclear how the district attorney got wind of the deal, but in a post-9/11 world, the anomalous wiring of $28.1 million into a money market account could have been flagged by bank regulators. 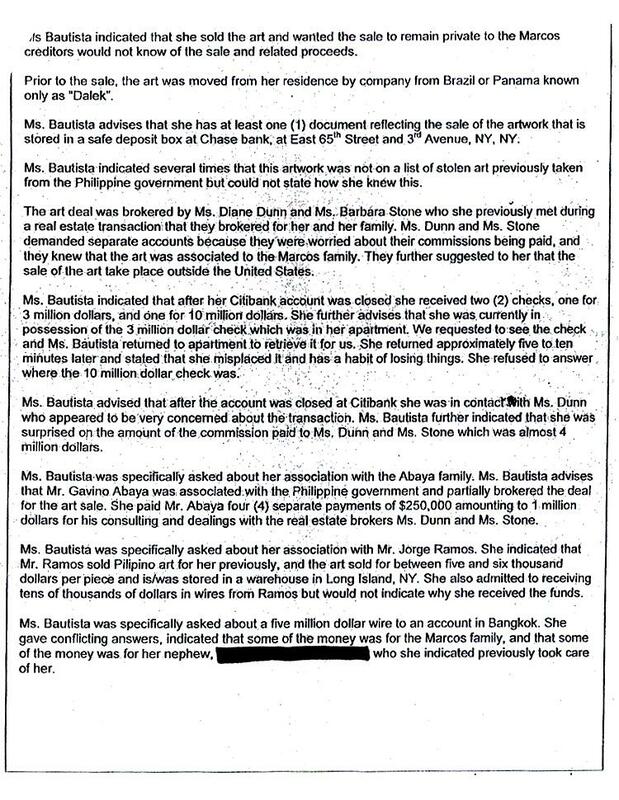 Also, Bautista’s subsequent distribution of some of that money may have drawn suspicion, especially a $5 million wire sent to one nephew’s off-shore bank account in Bangkok, Thailand and a $100,000 transfer to her other nephew’s Hong Kong account. As she sat on a lobby couch, Bautista said that she had been associated with the Marcos family for over 30 years, claiming that they had given her “artwork and jewelry throughout the years,” and that some of the items had been sold. When asked about the September 2010 Monet sale, Bautista “indicated that she received a painting as a gift from Ms. Marcos 20 to 30 years ago,” and that she had “kept the paining in her apartment, uninsured during this time.” Until she sold it to Howard through the London art gallery. Bautista’s claim that Marcos just gave her a “Water Lilies” painting worth tens of millions of dollars runs counter, of course, to the Filipino shoe junkie’s avaricious ways. Bautista added that some of the Monet’s proceeds “was going to the Marcos family,” though she would not be more specific. 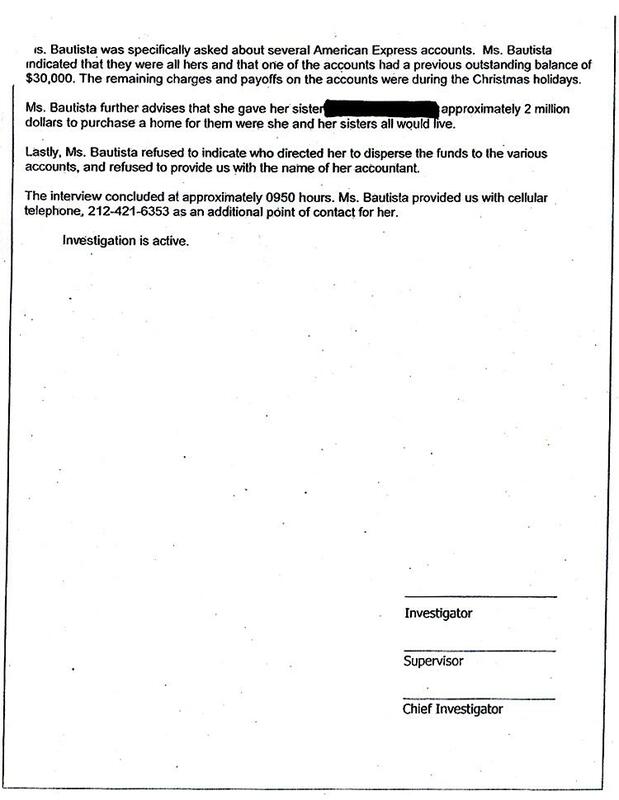 In seeking to have Bautista’s damaging statements suppressed, her lawyers argued that she was somehow coerced or intimidated into speaking with the district attorney’s representatives. That defense motion was denied by Judge White. Dunne (left) and Stone are pictured above. The group moved quickly and identified Acquavella Galleries, an established Manhattan art dealer, as a possible purchaser of the Monet. An Acquavella director met twice with confidentiality-obsessed Team Bautista to examine the Monet. 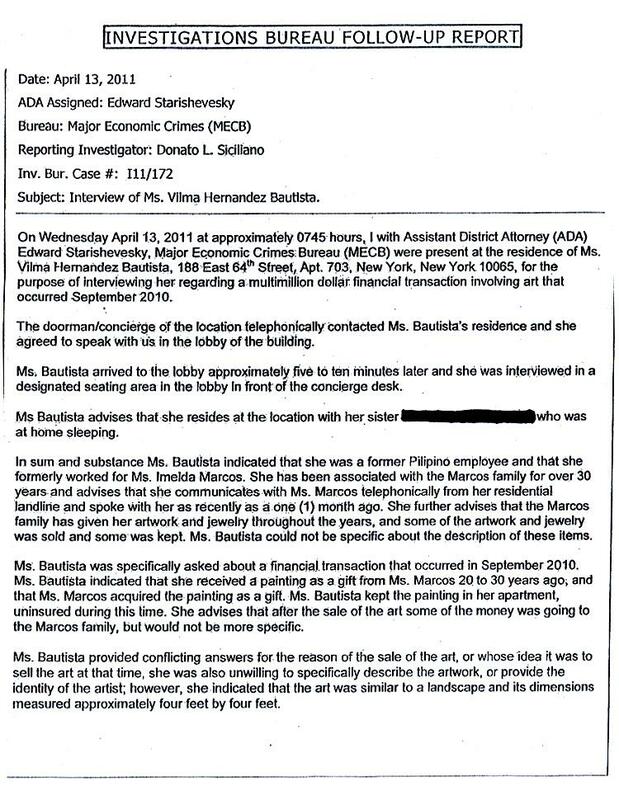 During an April 9 meeting in Bautista’s apartment--which, strangely, was videotaped by one of her nephews--the Acquavella representative was told the painting was available for $35 million. The Monet, which was in pristine, museum-like condition, had been wrapped in a blanket prior to examination by the art gallery official. According to trial testimony, the uninsured painting had been stored at a Long Island townhouse owned by Bautista and driven into Manhattan by her nephews. A day after the apartment meeting, the Monet was transported to Acquavella’s East 79th Street gallery for further inspection and discussion. And while Acquavella prepared a purchase and sale agreement, gallery officials expressed their concerns to Bautista’s camp about a 19-year-old certificate granting her authority to sell the valuable painting. The 1991 document purportedly included Imelda Marcos’s notarized signature. After Acquavella walked away from the deal, Dunne and Stone enlisted a contact in Antwerp, Belgium for help in finding a new buyer. In turn, the source identified Hazlitt, Gooden & Fox as a prospective purchaser of the Monet, the price for which had dropped to $32 million. During the ensuing negotiations, the London gallery--represented by the New York law firm Herrick, Feinstein--raised questions about the painting’s provenance, the validity of the certificate of authority, and Bautista’s standing to sell the Monet. Like Acquavella, the gallery also wanted Marcos to somehow address or update the 1991 document. Bautista, pictured below, and her associates claimed that Marcos could not be contacted and no further documentation could be obtained. 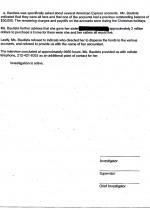 Instead, they offered a “letter of explanation” signed by Bautista addressing the London gallery’s concerns. Five days after the letter was provided to a lawyer for Hazlitt, Gooden & Fox, the Monet was sold. Bautista, Dunne, Stone, Abaya, and Chaiyot Jansen Navalaksana, one of Bautista’s nephews, attended the closing. In an e-mail to his brother prior to the sale, Navalaksana was relieved that the buyer was willing to “find creative ways to get the documentation they need. So no more Certificate of Authorization..instead they will just have her sign a statement.” Navalaksana then stressed the importance of quickly closing the deal since “the word is Mrs Marcos is returning to NY.” If the former Filipino first lady arrived in Manhattan while the Monet sale was pending, “its not going to be good since it’ll be on the news and the buyers will want her to contact Mrs Marcos to get the letter,” Navalaksana declared. Of the $43 million provided to Hazlitt, Gooden & Fox by Howard, $32.1 million was transferred to Bautista, who paid Dunne and Stone $1.9 million apiece for their seven months of work. 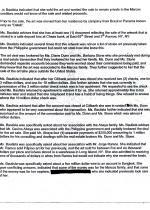 Bautista wired $5.1 million to her nephews, provided a total of $2.7 million to Abaya and his relatives, and used $2.2 million to purchase a Manhattan condominium (the deed to which is in the names of Bautista’s sister and another relative). Bautista, records show, also used part of her windfall to satisfy a $637,000 mortgage, spent about $1.3 million to purchase insurance and annuity products, and used another $800,000 for other personal expenditures. Following Bautista’s spending spree, $15 million remained in her bank account. That sum was frozen by prosecutors upon her indictment last year.